The new shoots of my cherry tree are covered on Black Cherry Aphids, Myzus cerasi. 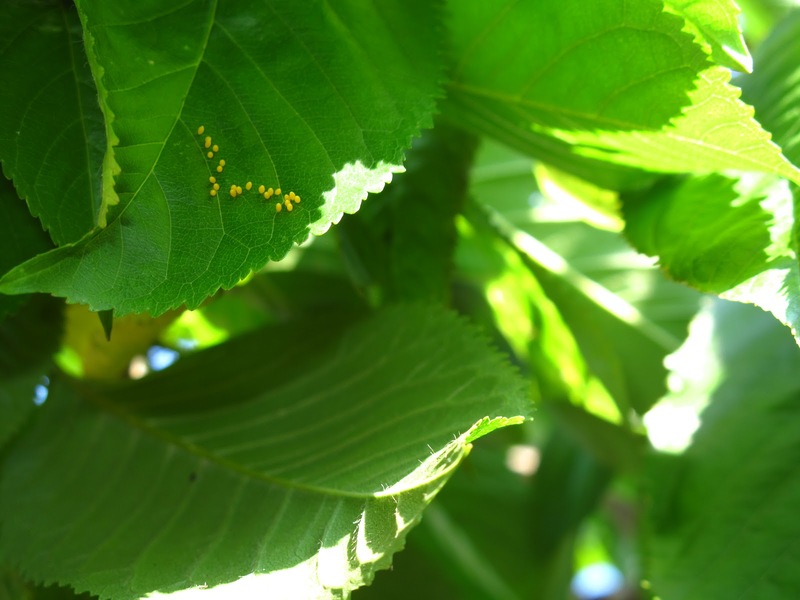 The new leaves are stunted and folded, sheltering the aphid colonies which produce abundant honeydew - loved by bees and bumblebees. 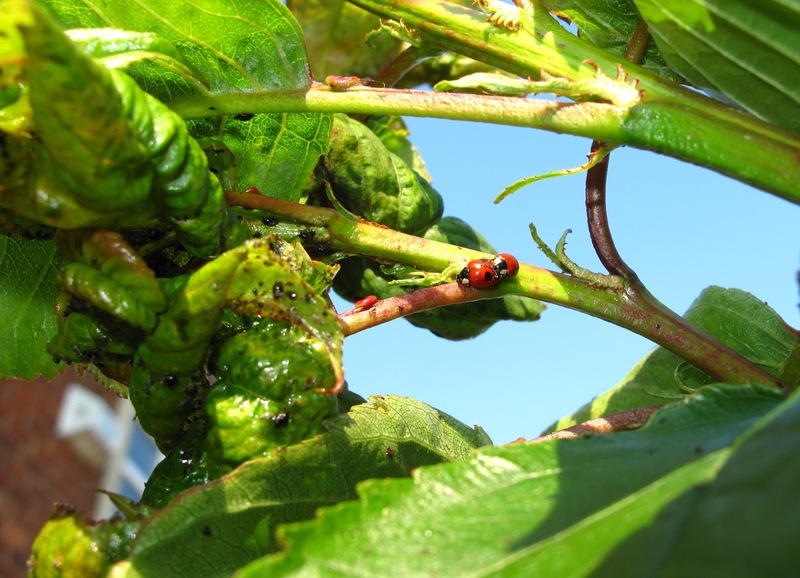 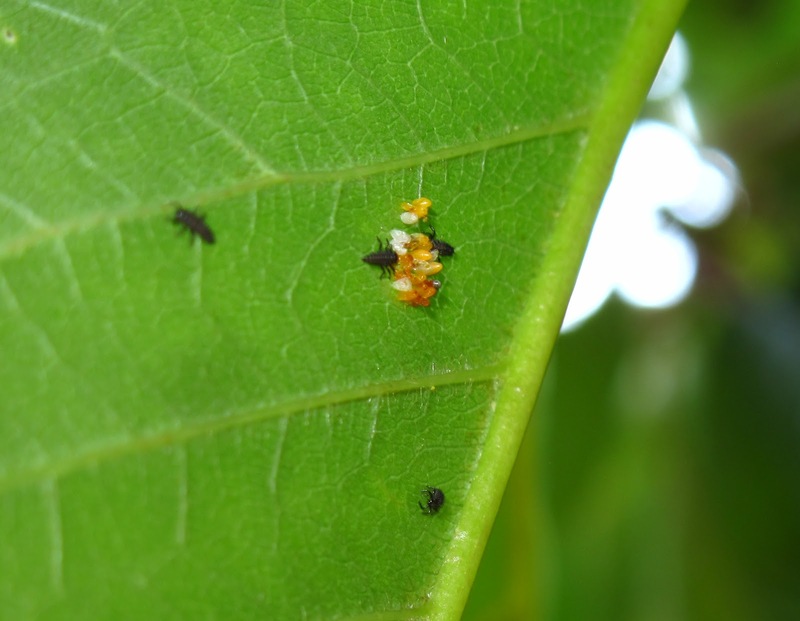 Ladybirds have also arrived at the tree in search of the aphids. 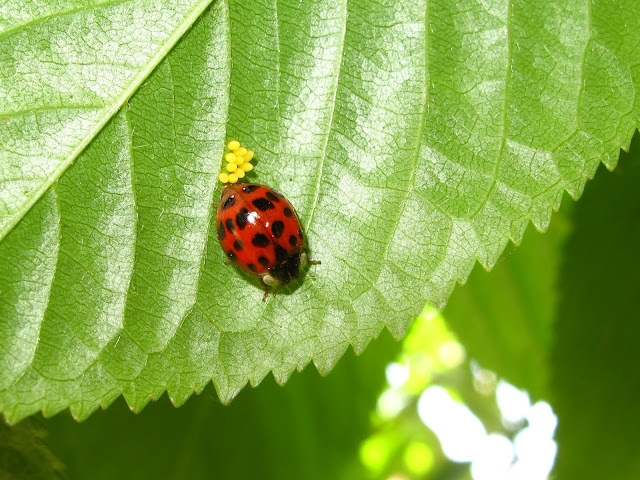 There are many Harlequin ladybirds, mating, feeding and laying eggs (above). 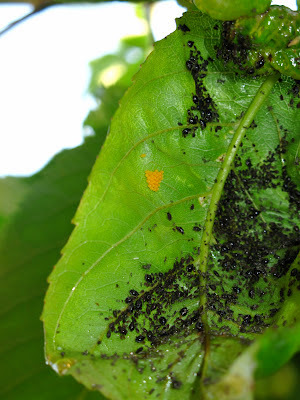 ...often close to aphid infestations. 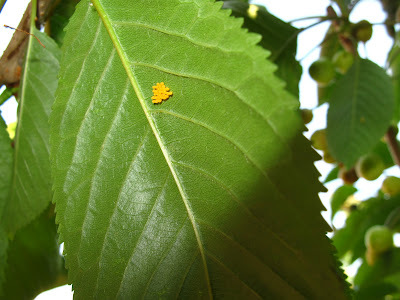 There were also many 2 spot ladybirds on the cherry, I am not sure they are as advanced on their life cycle as the Harlequin, although this pair was mating. Given the strong impact of Harlequins on 2 spot populations, it is obvious there is more than one war going on in the cherry tree. All the photos, except for the top one (26/05/12) taken today.